Prime Minister Jacinda Ardern opened expansions to two Southland export success stories yesterday while on a visit to Invercargill. Tiwai Point, where New Zealand Aluminium Smelter (NZAS) has just recommissioned its No4 potline after a six-year shutdown, was her first port of call. Later in the day she officially opened the new venison processing facility at Alliance Group's Lorneville works. NZAS put its fourth potline on ice six years ago, but having negotiated a new power supply agreement it has put the processing facility back in production. The extra capacity means the plant can produce an extra 85tonnes of metal a day. 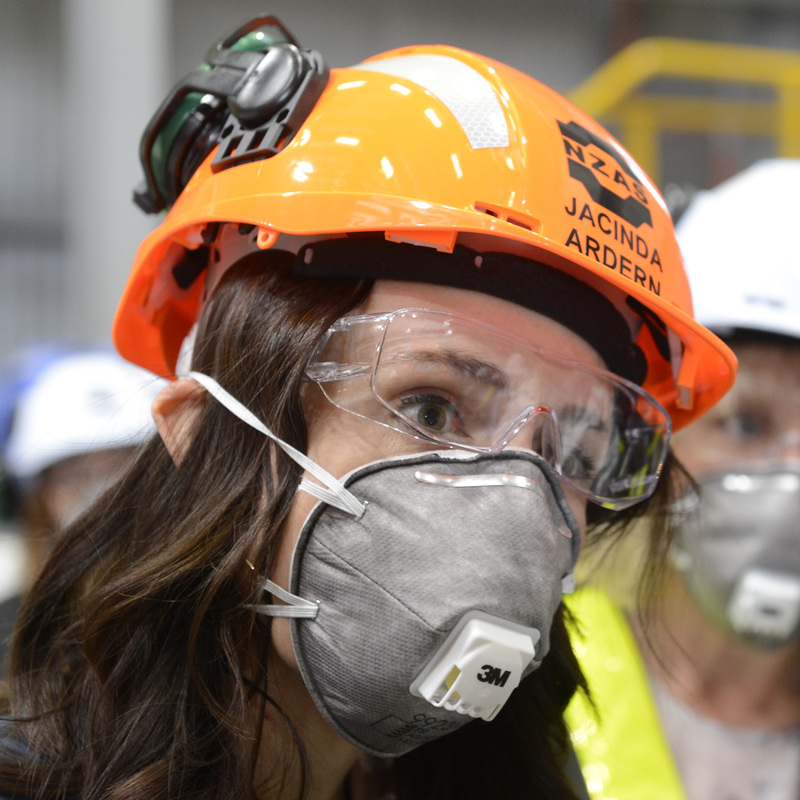 Ms Ardern said the smelter was a vital part of the regional and national economy. "The undeniable economic impact of what happens here impacts throughout the Southland community: you provide 800 jobs, and to see another 35 jobs created by the fourth potline is incredibly important," she said. "That employment helps to build the community and it helps to build people's futures." While the smelter had faced challenges in recent times, it was now selling a range of low-carbon aluminium products to more than 60 counties. The smelter wants to expand sales in the United States and Ms Ardern said she had already made representations to the US to drop aluminium tariffs, and would do so again. "Aluminium is a key export commodity for us ... the aluminium which is produced here is exported to some of our key trading partners across Asia, Europe and the Americas." After attending a youth forum, Ms Ardern visited Alliance Group's Lorneville plan to inspect its new $16million venison plant. Alliance Group exports venison to Europe and the United States, and Ms Ardern told staff and industry representatives she hoped free trade agreements with European nations would lead to new markets being established. She later told reporters she hoped progress would be made soon, despite the uncertainty caused by Britain's attempt to leave the European Union. "We have been given the negotiation mandate and are pursuing with real vigour our free trade agreement with the EU," Ms Ardern said. "Of course Brexit poses its own challenges but ... we have made it clear that we want to be first cab off the rank." Whatever political gain Ms Ardern made from the trip to Southland remains to be seen, but daughter Neve was a clear winner, receiving a personalised hard hat at Tiwai Point and a sheep stuffed toy at Lorneville.